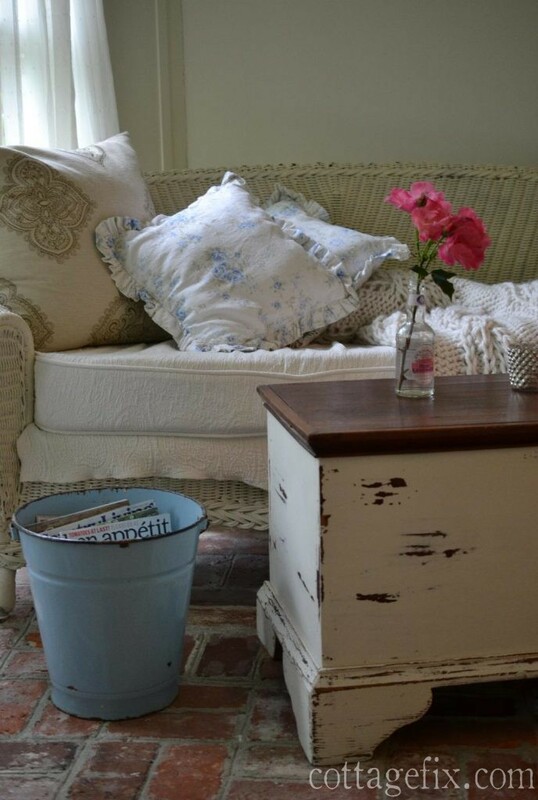 Yay Cottage Fix friends… it’s Friday! With all this rain the garden is lush green and full of blooms including these sweet pink roses. 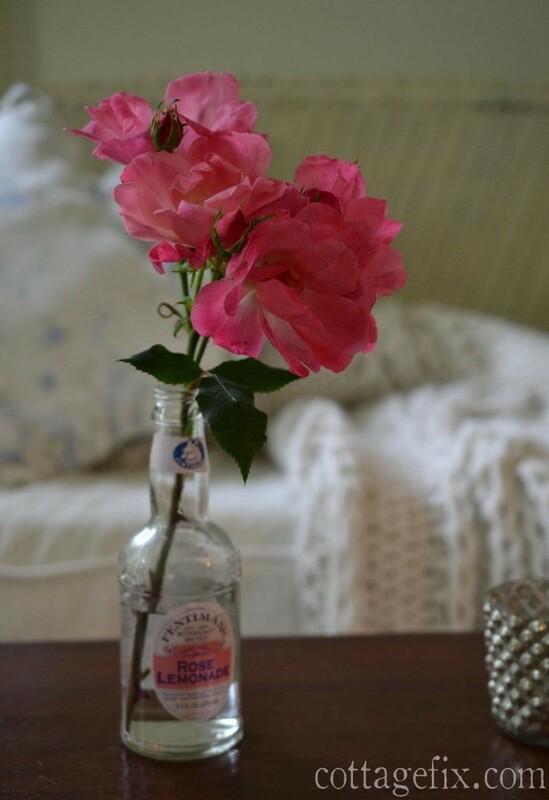 I popped a sprig into one of my “not so vintage” bottles. 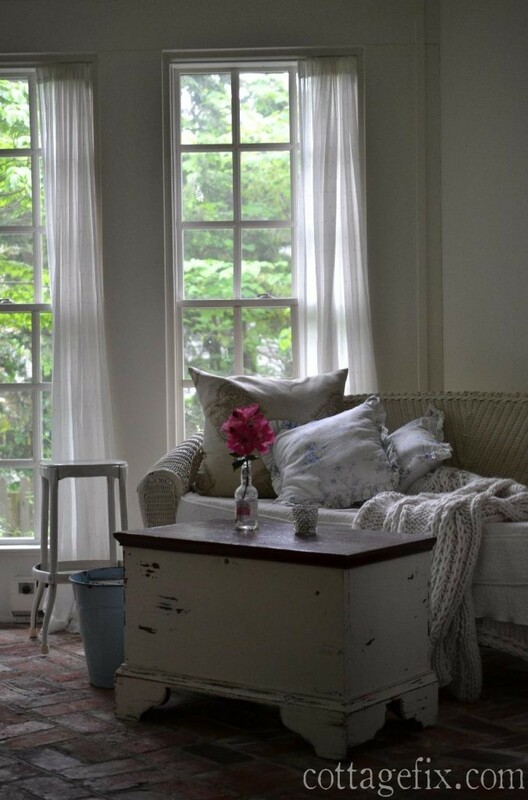 On the sun porch, it’s mostly whites with a touch of blue and a pop of pink. My quirky herb and vegetable patch is just on the other side of the windows. That’s where I keep an eye on things. Wink. The spinach, lettuce, and cilantro are abundant, but the basil is off to a slow start. I’m sure it’s waiting for more sun. This entry was posted in Friday flowers and tagged cottage, decorating, flowers, garden, shabby chic on May 20, 2016 by sally. Happy Friday and hope you have a lovely weekend! Very pretty, Sally. I can only imagine what yummy things you cook up from that garden 🙂 Have a nice weekend! 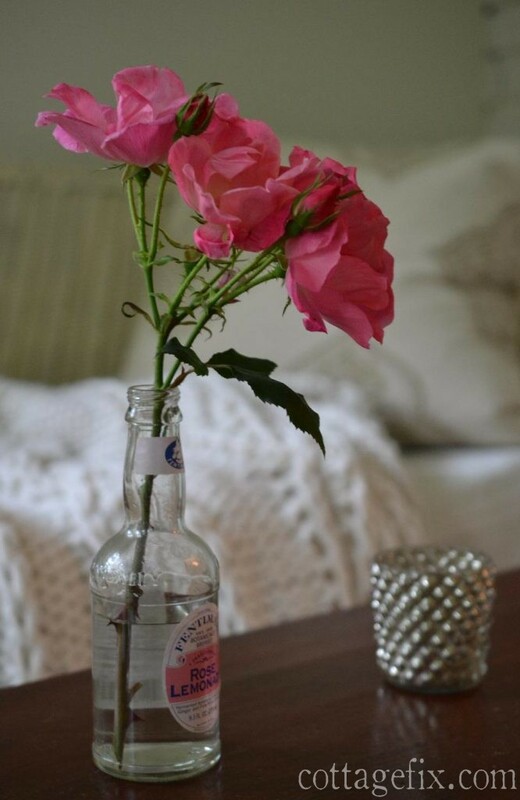 I love that adorable bottle that you put your flowers in! I’m spending the day indoors today too. It’s raining and chilly outside. I’m not a big fan of this weather. It makes me sleepy and unmotivated to do much of anything. The best thing about a garden is to be able to clip such pretty flowers to enjoy inside. Hoping we’ll see the sun this week!